Harrogate Bus Company unveiled eight electric buses in July, announcing a five-year vision to make Harrogate a low emission bus town. But in a statement, the company revealed it needs a diesel generator because it is struggling with infrastructure. 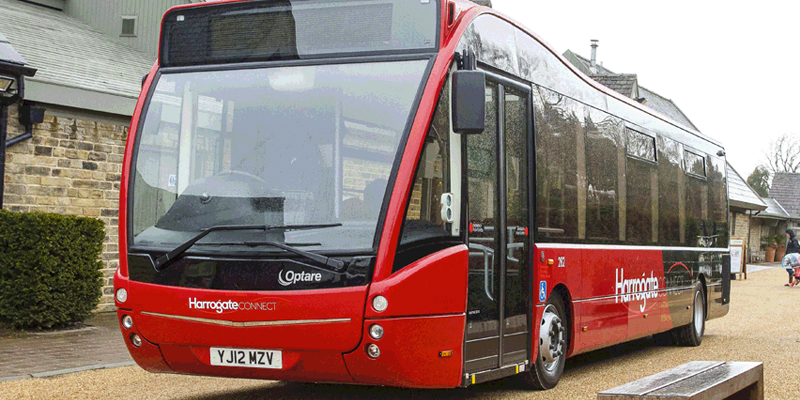 The bus fleet was funded with a £2.25 million grant from the government’s Low Emission Bus Scheme, which was joined by another £1.7 million investment by the Harrogate Bus Company. The diesel generator, which has been running for the first three months of the upgrade has been stated to be a “short-term interim measure” and was held up by a “red-tape infrastructure issue”. Regarding long-term energy planning, general manager Keith Roebuck stated: “Once we have resolved the issue, the chargers will be fuelled by a renewable energy contract ensuring that the buses are truly zero emission.” Northern Powergrid will provide the power for fleet charging once the infrastructure construction is completed.